Hello from Troop 303 Bellflower! 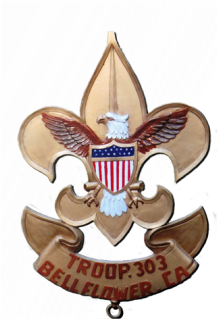 We welcome you to visit our Troop and see why that we are the best Scout unit in our community. Our goal is to help you achieve the rank of “Eagle” and have a wonderful scouting experience in doing so. Please remember that your full participation and cooperation is essential in making this goal a reality for both you and your family! We sincerely hope that your Scouting experience is both rewarding and exciting! See you soon! The Scout Oath and Scout Law shall govern the body and spirit of this Scout unit! These are not just simple words, but they are what we believe in and promise to obey! Our Scouts today, are our nation’s leaders tomorrow! They must strive to set higher standards and be role models for our community! Remember, scouting is a non-profit, volunteer youth organization serving the young people of America.